IJOY MAXO ZENITH is a high performance triple-18650 box mod with tremendous maximum 300W output power. It has a lightning-shaped adjustment knob, which allows you to adjust voltage from 2.7V to 6.2V. The MAXO Zenith comes with a big top fire button that activates LED lights when working. A 2.6ml RDTA 5S is included. The IJOY MAXO Zenith Kit is a stylish yet powerful vaping device that packs a MAXO Zenith 300W Box Mod and a 2.6ml RDTA 5S Tank. Powered by triple 18650 batteries, the Maxo Zenith is capable of running up to 300W. With the IWEPAL chipset, you can adjust the voltage from 2.7V to 6.2V by twisting the lightning-shaped knob. It pairs with high performance RDTA 5S. It adopts central top fill, adjustable airflow system and ultem wide bore drip tip. 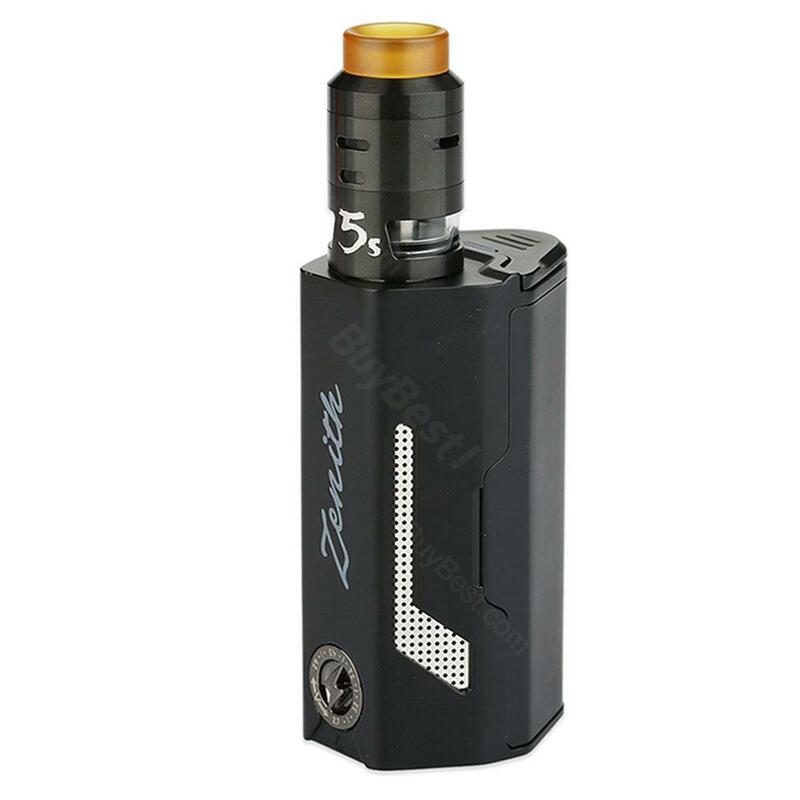 The IJOY MAXO Zenith with RDTA 5S is a top option for vapers. fast shipping from china, when I got my hands on the kit, I fell in love with it from then on. lol. It was a nice buy, fast shipping and responsive service. This ijoy device is a killer!! I had a great time with it.